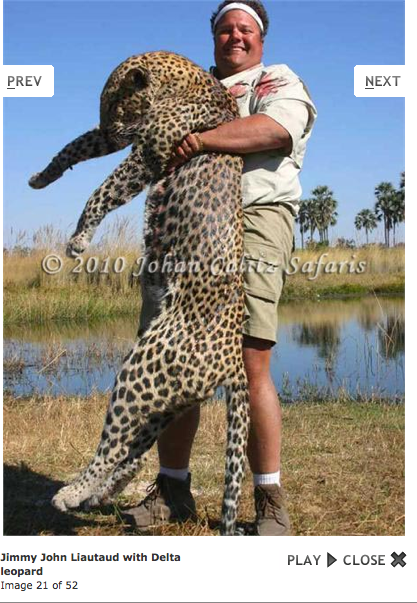 Jimmy Johns Owner Jimmy John Liautaud Hunts African Wildlife on Safari-Unproven! - Truth or Fiction? 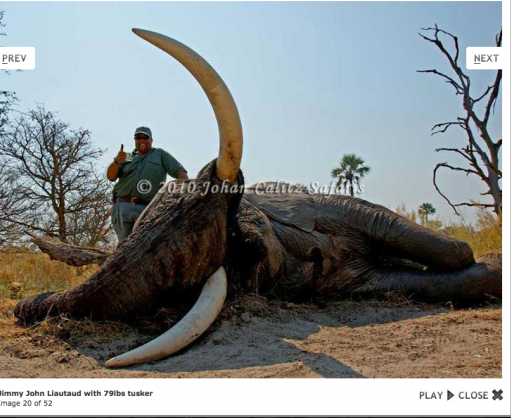 Photos that appear to show Jimmy John Liautuad, owner of Jimmy Johns Gourmet Sandwiches, posing with two African elephants and a delta leopard that he hunted and killed in Botswana, Africa. Photos that appear to show Jimmy Johns owner Jimmy John Liautuad posing next to two dead elephants and clutching a dead leopard have been circulating since 2011 — but there’s never been an admission that the man in the photos is actually Jimmy John, or that he personally killed the animals. 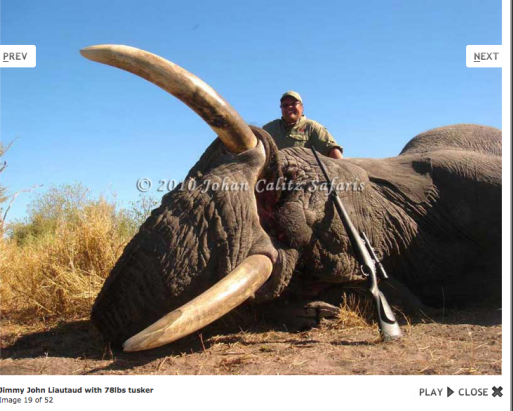 Photos that appear to show Jimmy John Liautuad, owner of Jimmy Johns Gourmet Sandwiches, posing next to African big game have been circulating since 2011. Hunt in some of the BEST elephant hunting blocks in Botswana, on these late season elephant safari specials and deals with one of Botswana’s longest standing and most reliable outfitters – Johan Calitz Safaris. Johan has consistantly, over more than 10 years, boasted an ivory average on trophy elephant of between 61 – 63lbs and that Johan Calitz Safaris have a 100% success rate year after year. Last year they shot over 70 elephant – a tall order! Missing Trey Gowdy Investigators Found Dead, Gowdy in Protective Custody-Fiction! Rep. Maxine Waters Paid Her Daughter $750,000 to Send Campaign Mailers-Truth! & Outdated!